谁的空军更强，印度还是中国？ [美国媒体] Who is more poweful in airforce India or China and how? Who is more poweful in airforce India or China and how? India is more powerful in airforce, although, they are only marginally better. Even though China have more planes, most are ageing soviet era models, and even the planes that aren’t are still technologically inferior to the Indian ones. As you can see, majority of these jets are aging copies of jets from the 70’s. And even the planes that aren’t this have their own massive problems. Such as this J-20, which doesn’t have a proper engine, and is only stealthy from the front! India have half as many jets, about 650, but with the exception of a few Mig 21, all are modern, and some are arguably the best fighters on Earth. It can engage 6 enemy jets at once, track 15, is supermaneuverable with 3D vector thrust, and is arguably the best fighter to fly Asian skies. Still though, you could argue that China’s sheer number advantage could mean that they are better. So who is more powerful? In terms of who is better? I would say India, because they have better jets. But still, you wouldn’t be crazy to think otherwise. The Chinese Airforce is extremely superior to the Indian Airforce on paper. Their jet numbers dwarf IAF numbers and now also have two FGFA (Chengdu and Shenyang). Most of PLAAF planes are outdated but usable while their new entrants are better than anything IAF has. But, Indian Airforce Pilots have a more rigorous and training and stringent requirements compared to the Chinese. Also, while China has hardly seen a war, India has regular training and experience with Pakistan’s mischief. Problem is our selection system for buying new planes and lack of technical manufacturing knowhow (evident in manufacturing Tejas). Even Dassault Rafale and Saab Gripen (coming to IAF soon through Adani Saab collabration) are no match for FGFA from PLAAF but an able IAF pilot can reduce that advantage. In case a war happens, the results can tilt towards the country with a better strategy. It is obvious that in such a circumstance, Pakistan would also attack India and contrary to what our leaders say, a two prong war will be disastrous for India. Such a war will completely destroy huge populations on both sides and also rout their economies. PS: War cries are a thing of the past and only Pakistan indulges in such kid whines. India and China are not going to war anytime soon as both mature economies have a lot to lose. That is no doubt that Indian is more powerful. Bcz the Chinese air force lacks practical experience and modern war command system, the comprehensive combat power is not as good as the India air force.The performance of China's domestic equipment is not reliable and is not enough to fear.For example,China’s the most advanced fighter J20 known as the fifth generation stealth fighter , India relies on existing radar and can find him in serval kilometres very easily. Before 2025, the India air force will have 120 Rafale fighters, 200 Su -30MKI and 150 T-50 fighters. The future India air force can defeat any enemy( including Pakistan and China)in the airspace around India in 3 to 7 days. "Who is more poweful in airforce India or China and how?" 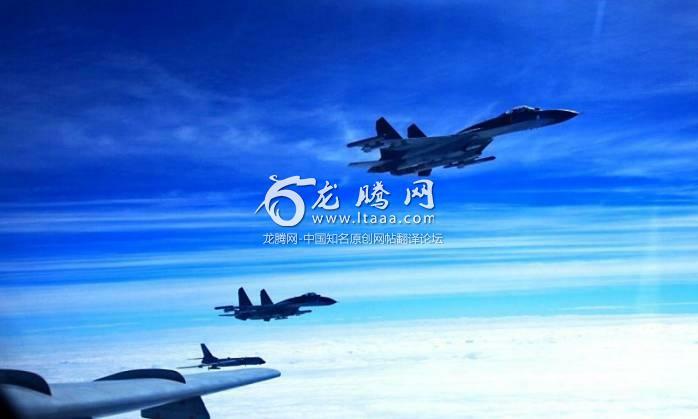 They have Bombers and J-10 next generation stealth fighter plane. India is also not weak but for sure it’s China in all way like Airforce, Navy, Land Army.